Gov. Ron DeSantis announced the hiring of a new Chief Science Officer for the state of Florida on Monday. WEST PALM BEACH, Fla. — Gov. Ron DeSantis announced the hiring of a new Chief Science Officer for the state of Florida on Monday. 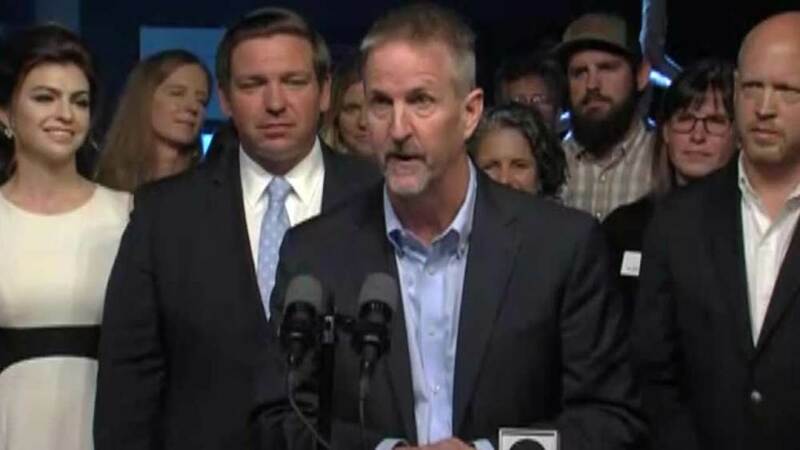 At a news conference at the South Florida Science Center and Aquarium in West Palm Beach, the governor said Dr. Tom Frazer, a professor at the University of Florida, is taking the newly created position. Dr. Frazer is currently the Director of UF's School of Natural Resources and Environment. "I’m honored to be part of a team that puts a premium on science,” Frazer said. As the state's Chief Science Officer, Dr. Frazer will serve as an expert on environmental science for Florida's Department of Environmental Protection. Dr. Frazer said he'll study Florida's algae bloom problem, along with climate change and rising sea levels. On Monday, the governor also said the state Legislature is on track to provide a "historic commitment" to improving water quality by approving his $625 million environmental budget. DeSantis says Dr. Frazer will focus in water quality issues such as red tide and the algae blooms and is also free to study climate change and rising sea levels. “He can study what he wants to do this idea of climate change becoming politicized my environmental policy is to try to do things that benefit Floridians,” DeSantis says. Governor DeSantis was most recently in Palm Beach County on Friday, joining President Trump during his visit to Lake Okeechobee. Monday's environmental announcement came on the same day the governor announced the creation of a task force to combat Florida's opioid epidemic.